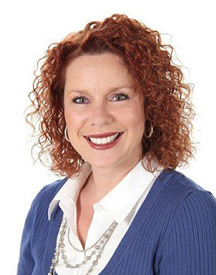 Mortgage Architects is pleased to announce the appointment of Linda Walters in Oakville, ON. Linda cites "Mortgage Architects' forward thinking, innovation and marketing templates"as key reasons for joining. "I am impressed with the reputation that MA has built in the industry, and I am very proud to be a part of that! The templates and automated marketing are going to help me grow my business"
"We are a team with great expertise and complementary strengths." Linda is a 13 year veteran at BMO where she worked as an underwriter for their Broker Channel, Branch Lending Officer and finally as a Mobile Lending Specialist. She has been very successful at building relationships with realtors, financial planners, accountants and is looking forward to offer them even more service and product options through MA. We are excited to welcome Linda Walters to our Mortgage Architects Professional Broker Network.